Wonderland Floral Art is a boutique floral art studio in St. Petersburg that features the freshest and most unique floral blooms, along with an eclectic mix of gift and holiday décor. We open our doors to the community hosting Floral Therapy session multiple nights every month, to share our passion for flowers and ignite the love of flowers in others. We invite our customers to journey into Wonderland to become a part of our family, cherishing our relationships that allow us to be a part of their lives, celebrating all the milestones in life along with the every day joys. Our style is simply beautiful, quality design created using the freshest flowers from around the world. Whether the style of the wedding is organic and natural, vintage and romantic or sleek and modern, every wedding is designed with unique touches to be sure the personality and vision of the couple are captured. We love all aspects of this amazing field, including being an integral part of such a milestone in one’s wedding day. From the moment we first meet the couple, we get the honor of being invited into their vision for their wedding and assist in shaping and realizing that vision. Being entrusted to join them on the journey to the beginning of their wedded life is such a privilege. Knowing that they will be surrounded by the florals that we have created and that this day will be remembered, always fills me with a sense of responsibility and pride. There is nothing to not love about the celebration and triumph of love. While Wonderland Floral Art is a full service florist, we are pleased to provide only what you desire. Whether you need a bridal bouquet, complete wedding décor or a guiding hand, we are at your service. 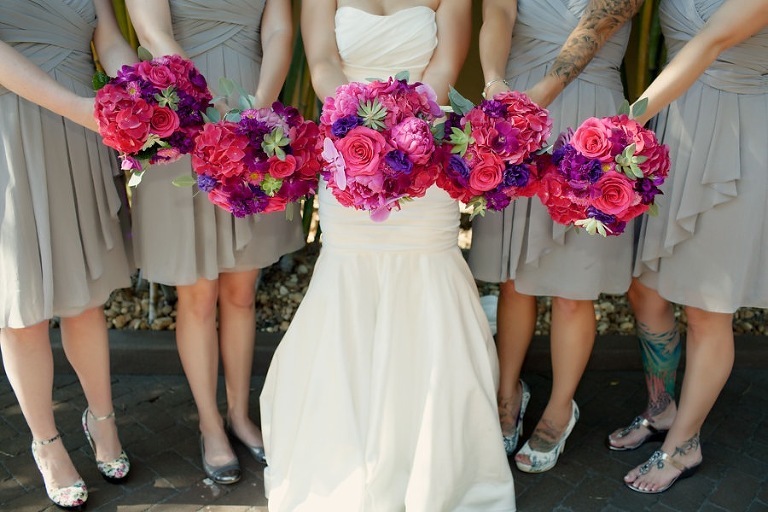 We offer all aspects of wedding florals for your ceremony, bridal party and reception. We also do all the installation and retrieval if you option rental pieces. 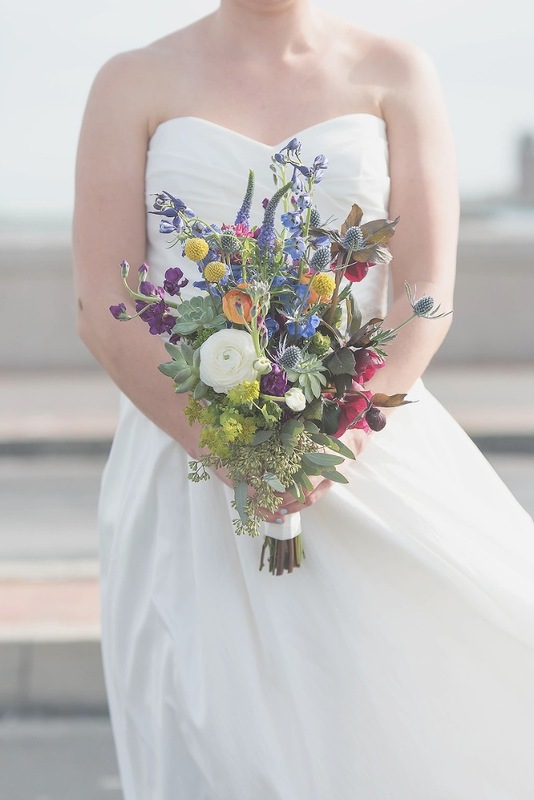 We offer DIY wedding parties, for brides and grooms hoping to get involved in the creation of their wedding flowers, but do not want the responsibility of processing flowers, storing the designs or installing them at their wedding venues. Wonderland Floral Art is a progressive florist with a fresh approach to flowers. We are passionate about flowers and are pleased to share our extensive years of experience and creativity to bring to life your perfect wedding. We are also honest, never promising what cannot be delivered, but always looking for that rare bloom that will elevate the design and often bring tears when that out of season bloom seems to magically appear. We are also collaborative. A wedding is punctuated with many equally important elements that should combine fluidly. And as important as being experts in flowers, we are also organized, thorough, reliable and punctual. Wonderland Floral Art is a boutique florist meaning we are NOT a flower factory. We do not book multiple full service weddings on one day. We believe that your wedding deserves the necessary attention and focus required to bring the perfect wedding to life. Our weddings are never just files with last names, dates and venues; they are always about the people. We take pride in our flowers from processing and hydrating, using only reverse osmosis treated water to ensure beautifully opened blooms to proper refrigeration and humidity control. The extra steps we take make a difference on your wedding day. We are also generous with our knowledge and creativity, spinning modest budgets into dreamy weddings and that is also why we are happy to lend a guiding hand for our DIY brides. 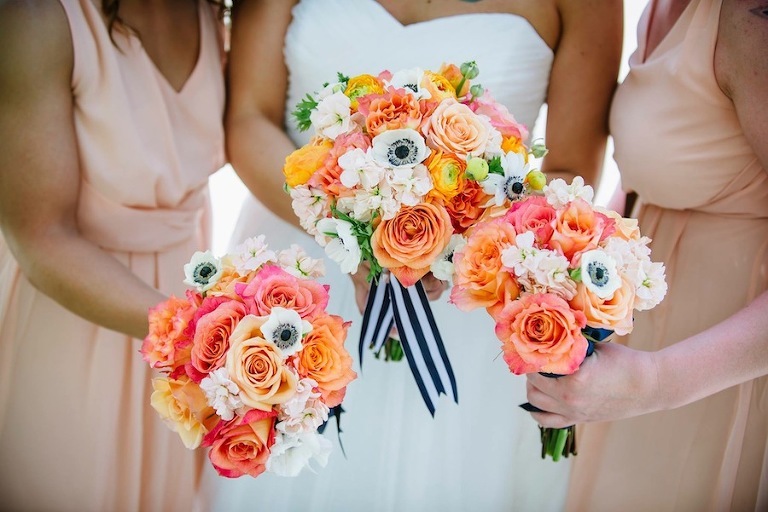 While every wedding is unique in both flower selection, season and scope, there are averages to assist in creating a budget. 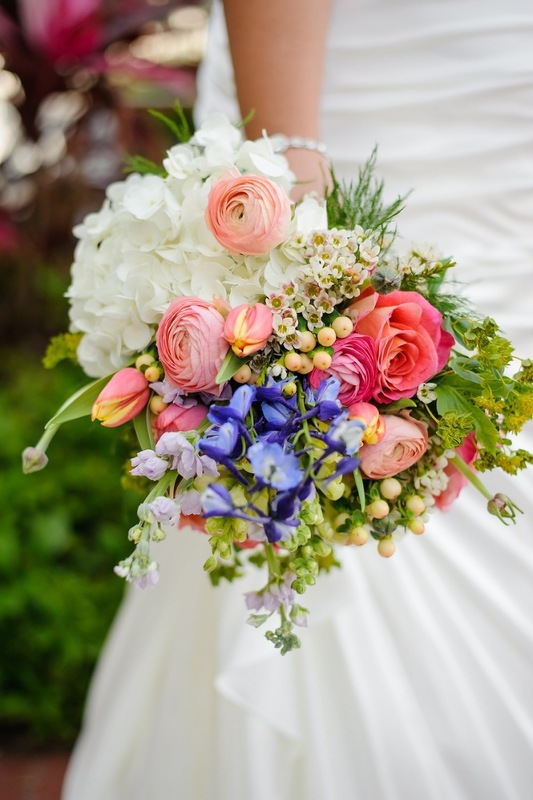 Bridal bouquets can range from $50 to $300, but most brides average $135. Bridesmaids also range from $25 to $100, most choosing in the $45-$65 range. Boutonnieres usually hover around $10 and corsages $25. Since centerpieces are most of the floral budget, usually choosing a combination of elevated and low pieces helps manage the budget. For elevated pieces, on average, $125 and up while lower pieces average $50. Always keep in mind that averages, are just that. They are only an average of what others have chosen. In spring, you could have a lovely terrarium of tulips for $30 or a lush grand elevated arrangement of all orchids for $250. The key will be overall style, working with the best of the season and being open to ideas. As a local floral designer in St. Petersburg since 1988, we have won many awards and been featured many times. Some of our proudest are being the First Winner of the Iron Florist Competition at Art in Bloom hosted by the Museum of Fine Arts, being featured in Bay Magazine, The Tampa Bay Times, and having multiple segments air on Good Day Tampa Bay on Channel 13 and On the Town on BayNews 9. Wonderland Floral Art is also a proud member of Keep St. Pete Local.